a local Git repository, run "git init" and then re-run the "eb init" command. Environment "test1-env" is not running. Waiting for environment "test1-env" to launch. 2012-10-25 13:35:16     INFO    createEnvironment is starting. 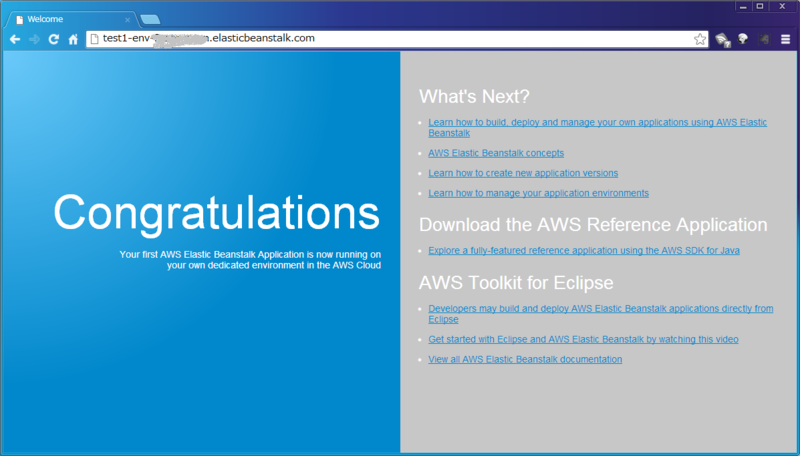 Application is available at "test1-env-xxxxxxxxxxxxx.elasticbeanstalk.com". RDS Database: AWSEBRDSDatabase | xxxxxxxxxxxxxx.xxxxxxxxxxx.ap-northeast-1.rds.